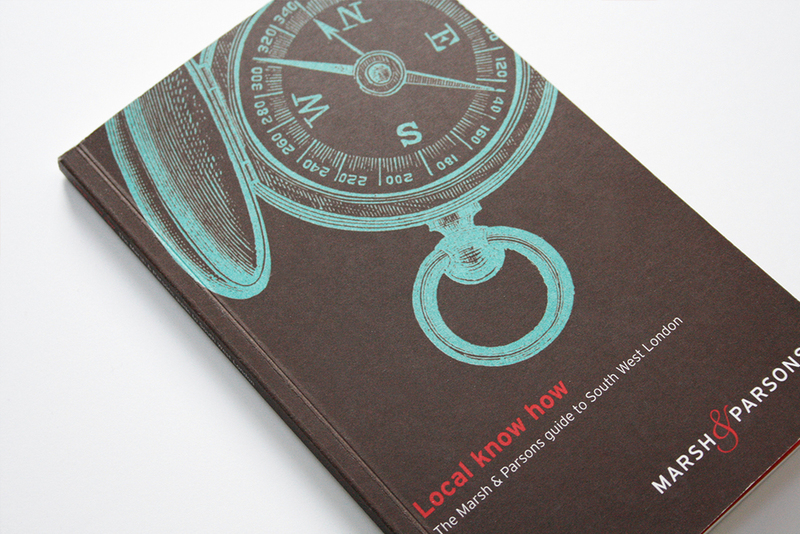 To emphasise their new brand proposition we came up with the idea to create sophisticated and practical local guides full of advice regarding particular neighbourhoods. 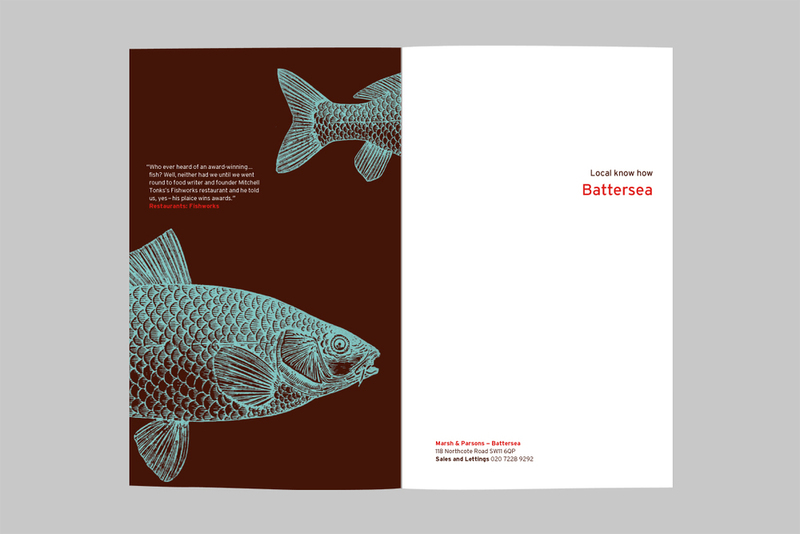 The design uses the brands' elegant colour theme combined with traditional Dover book illustrations which appear on the divider pages at the beginning of each section. 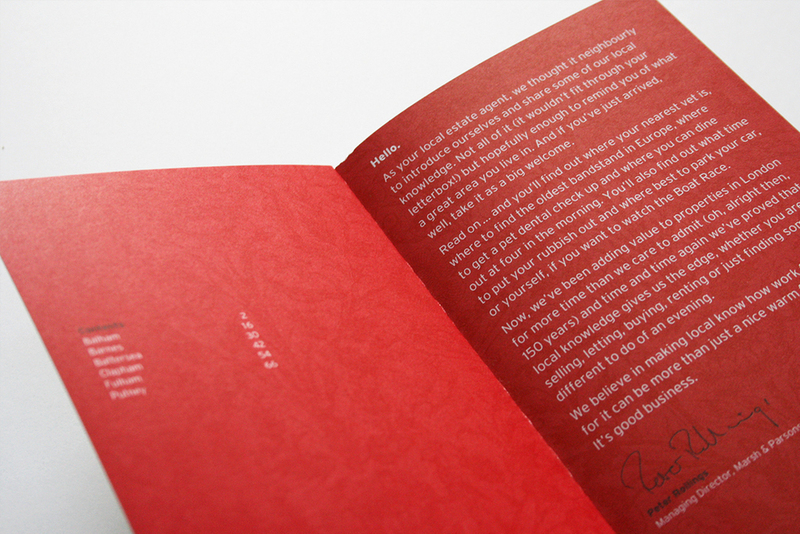 The book is a handy small pocket size (110 x 180mm). 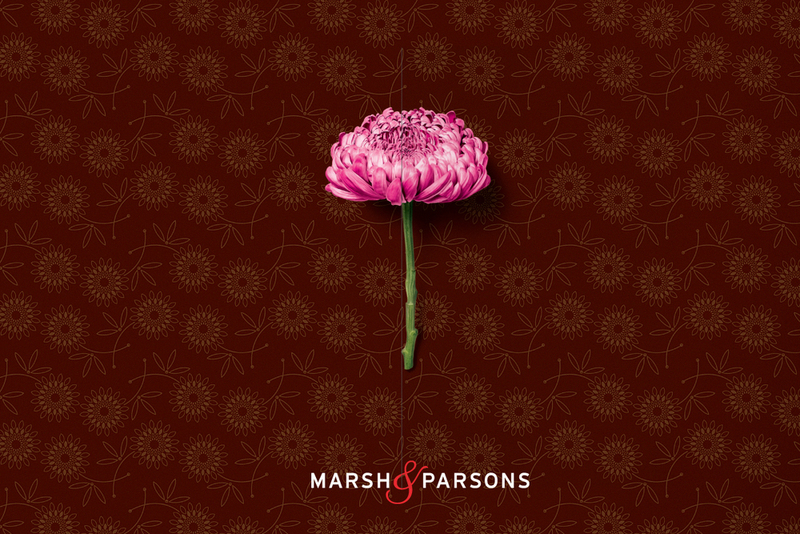 For Marsh & Parsons, a well known west London estate agent, we rebuilt their brand around the theme of local knowledge, the key asset on which they pride themselves. 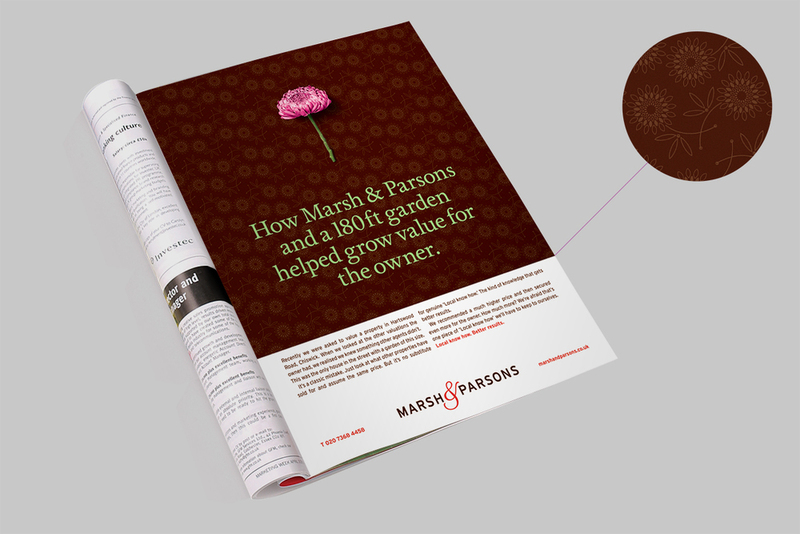 The advertisements were features in magazine spreads which tell the story of real Marsh & Parson's experiences, showing how their local knowledge provided the best solution. My task was to visualise these stories. 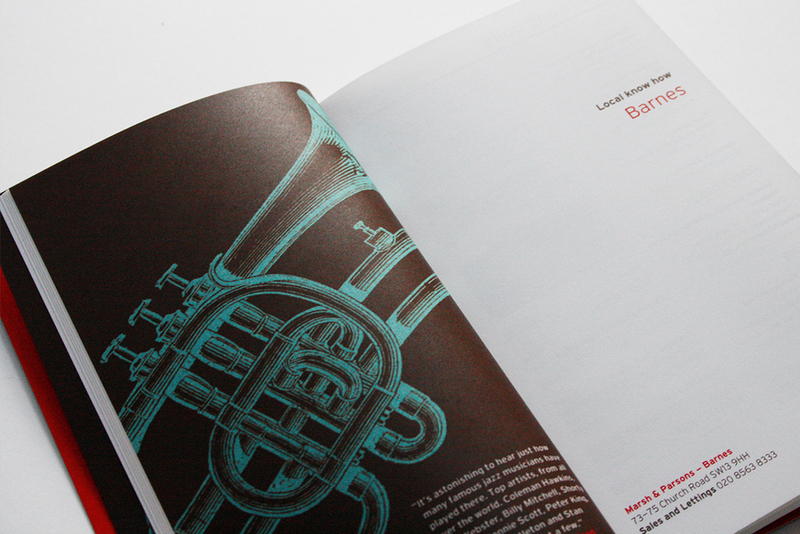 Using a relevant object from the story and crafting a bespoke pattern for the background, I created an elegant advertising campaign within the estate agent scene.